Everyone has their own way of unwinding after a busy day. Your choice will depend on various factors including your personality, age, what you have been doing during the day, who is around you, whether you are super-stressed and what you like to do. Different activities bring different specific benefits but the important thing is to find something or a few things that help you unwind. Every now and then we hear about the latest thing people are claiming is really good to help you unwind or relax. Colouring in is an example of one of these activities. Some people love grabbing their coloured pencils and zoning out as they add colour to a mandala or an intricate picture. But it's not my cup of tea. Years ago I loved to get a lump of clay and make something. I had a friend who really disliked the feel of clay in her hands whereas I found it so relaxing. 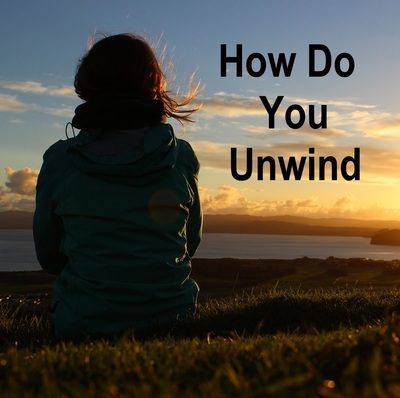 What are some ways to unwind and why do they work? Reading. You can forget your problems and get into another world through reading. Writing poetry. Any form of writing can be relaxing and help you unwind. That is if you like to write. It certainly doesn't suit everyone. Knitting. Some claim the rhythm and repetition of knitting is somewhat akin to meditation. 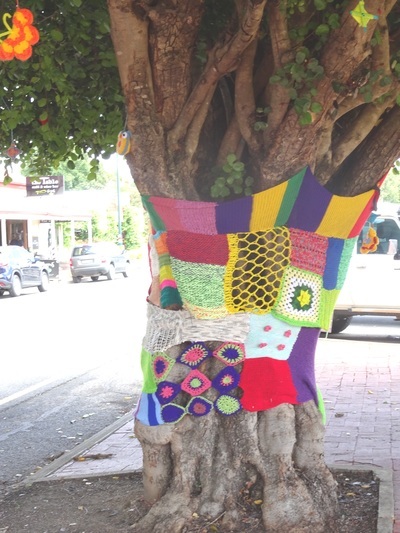 Creating something is very satisfying and it can be practical or fun, think yarn bombing. Playing sport. Using up energy can be a way of getting rid of pent up stress. Whacking a tennis ball after a frustrating day can release a lot of tension. Going for a walk, especially in a natural environment. The physical activity is good but doesn't put too much strain on the body. Spending time with a pet. Whether you are stroking your cat or playing 'fetch' with your dog, being with a pet helps you relax. Talking to family or a friend. You may talk about things that are bothering you or you may talk about plans for a holiday or what you have planted in the garden. Communicating helps one unwind. Having a hot shower or a bath. Water is relaxing. Flowing water in a shower produces negative ions and this is one time when negative is positive. Taking a nap. A brief sleep can restore your energy. Listening to music. Music can transport you to anther world. Creating some form of art. Doing painting, sketching, pottery, sculpture or any form of art allows you to express yourself. Doing puzzles is relaxing for some. Gardening. The pleasure of seeing things grow is good for the soul. Sitting and daydreaming. Whether you are watching birds flying around the garden or gazing into space, this can relieve tension. While some people choose to do something active others go for a sedentary activity. Some like to be alone and others want company. There are those who want to be creative or use their brain and others who want to zone out. The important thing is to find a way to unwind.